I have been writing poetry over twenty years, now, and you are one of the best I’ve seen. Great imagery. Great metaphorical devices. Man, keep up the good work, and, I think you are a good man. Keep up the great work. Poetry saved my life. Stay creative !!! Thanks, John. I’ll sleep well tonight. Reblogged this on Seoul in Poetry. Where you find these appropriate words that just gets me! Reblogged this on Vamsi Madhukar Meka. I like the progression from inanimate object to ‘lower’ life form to human. I wish I was a drop of rain.. Words are cheap. Hope you can do what you aspire to. Very good poem, Frank. The rhythm is simple and easy and the words are powerful! Thank you for stopping by my blog post: Your Weekly Diversions, Week 45, too. I wish I could write half as eloquently and fluently as this! Love your poem for its musicality of rhymes when read aloud and also for its profound content. Guess every one of us wants to be like that little bird whose singing melody has no name but perhaps one day it will. Thank you for reading my poetry! I like the way you write too! 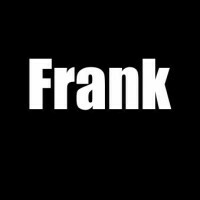 Dear Frank, thank you for checking the blog. What powerful poetry! I look forward to your reflections. I wish I was an ocean; carries everything; no enmity with past and reverent with present. This is a great poem. Concise and deep. Keep it up. I just subscribed. Who can measure His faithfulness?! Will do. Thank you for your words. check out What Makes a Good Man by The Heavy. I really enjoyed that! You have a neat way with words and thoughts. Reblogged this on Lady Headspace. Thank you so much for visiting my site and liking my post. Please keep up the good work. PTL! I nominated you for The Versatile Blogger Award! You give so much to others to read and think on in a very creative way. Even if you don’t do the awards, I still wanted to let others know about your site, and to let you know you are appreciated! God loves you! Thanks for the like… And I want to say there is no pain in death. Because there is no death, It is all but a dream trust me Frank been to the other side and back… it’s just like sleeping no pain, you don’t even know you’re gone…And before you know anything, they bring you back… you thought you was just sleeping. Nicely done. I think we all have similar wishes. Another great poem! Thank you for sharing! Very good Frank, I too wish the same. Always wondered what it would be like to be a drop of rain. To fall and just fall ..
Those last four lines… Sir, you nailed it! A beautiful poem Frank. For me it talks about innocence and angst. You wish you were a drop of rain, a little bird. All so pure and joyful. Setting this against the deep sadness is brilliant. I am inspired by your words. Thank you. I think you captured the tone of this piece very well. It’s hauntingly beautiful and resonating. Thank you for sharing!